Garnering press coverage for our clients is an honorable goal in itself, but what if, rather than media hits being the end goal, media hits were actually thought of as the beginning of something even bigger? So many companies are focused on using public relations to get press coverage. It’s smart and well proven that when they actively engage in strategic communications the company is more likely to succeed and thrive. PR is certainly an important element of the marketing mix and the cornerstone of what we deliver for our clients—there is nothing like a hit on CNN, USA Today, or your most important trade publication. But there’s more value to press hits than companies realize, when the power of these media hits is extended through content marketing. According to a 2016 Content Marketing Institute survey of approximately 1,500 marketers, the biggest challenge B2B marketers face is producing engaging content. 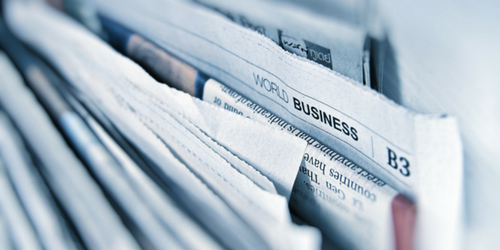 Public relations content—press releases, printed articles, statements, and more—can be leveraged to further boost awareness, engagement, sales, reputation and influence. By leveraging every piece of public relations content in multiple ways, you can get the highest return on your investment, and exponentially add to the audience who sees (and potentially shares) that content. Content delivers the greatest amount of value when stakeholders become aware and engage with it. A strategy in place makes it easy to repurpose your public relations content on a regular basis and keeps your content in motion, allowing it to be shared with more and more stakeholders. In your plan, you can call out the procedures for repurposing your content. When you get a media hit, a small write up with the link to the article should be shared through your blog, twice on your website with a link on the front page (when coverage is significant) and in your news section, through your social media including Facebook, Twitter, and Linkedin, and via an email to your customers and prospects, for example. The article placement itself is just the starting point. In fact, that article can be given new life if it’s referenced in a blog post or social media post, even weeks or months later. Writing about the information your audience cares about—making sure to hit “what’s in it for them”—provides them with information they want and need. People share that kind of information with their friends when they read it. A press release calendar or an editorial calendar—a calendar which identifies which content will be developed and placed and when—is helpful for communicating internally with other colleagues so they know what to expect and can share the content to their targets. Encourage others to share the content and expand the audience to which the content is exposed. Think about sharing media hits throughout your company, so even non-marketers can share the content throughout their communication channels. We all know that sharing content across multiple channels—blogs, social media, websites, etc.—increases its possibility of it being viewed and shared by a broader audience. This can build sales, reputation, awareness and more—but there’s another added benefit. When your posted content gets shared by others, it can boost your search engine optimization, pushing your content higher on the search engines, making it ultimately easier to find. According to David Meerman Scott, an award-winning online thought leadership strategist, “the single best thing you can do to improve your search engine marketing is to focus on building great content for your buyers.” Basically, it means that when people are searching on Google for the things they think are important, they will be better able to find you. Use your public relations content as the beginning of something bigger, rather than only as an end-in-itself. While clients come to us to develop a press release and gain press mentions for them, the end game we see is much, much bigger and better.